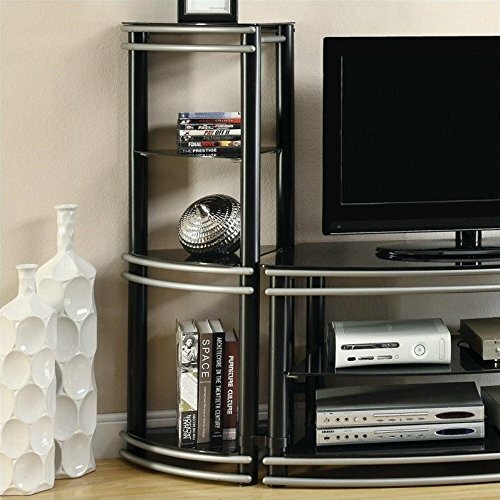 The pie shape media tower set is designed to be used to create a media wall unit with the matching TV console. The unique style includes a black color frame and horizontal accent bars in a silver finish. This piece can be used as a bookcase for storage and display options in a corner. Sold in sets of two.